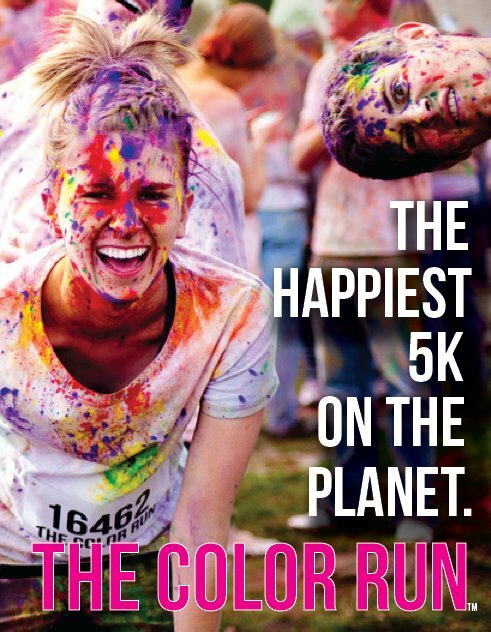 This weekend I will be running my first 5K! 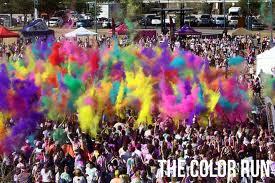 I’m joining a big group of friends to run the color run Saturday morning in Santa Rosa. Since it’s a color run, the atmosphere will be relaxed and most of the members of my group are treating it as a fun run rather than running for a great time. I’m so relieved the pressure will be low for my first race! Another concern is that I’ve put zero thought into what I’ll be wearing. I met up with a few girlfriends last night who are running the event and they had their outfits completely planned. They’re both wearing tutus and brightly colored clothes and told me if I showed up without flare I would be in big trouble. 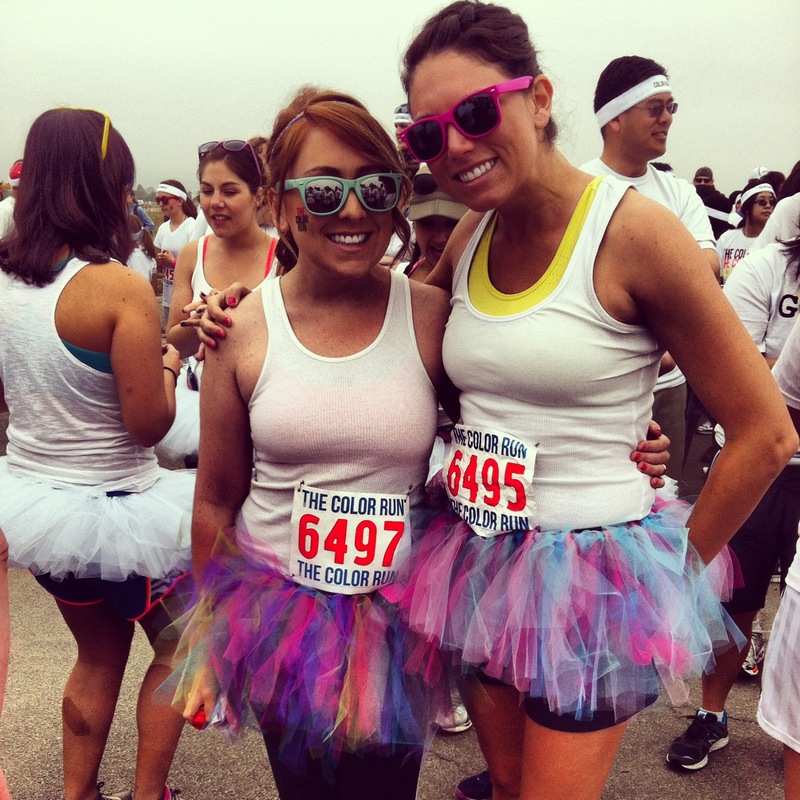 I’ve seen a lot of pictures of people wearing tutus to the race, so this seems like a pretty common thing, but I’m not sure I’m brave enough to wear a tutu while running! I think a trip to the Halloween store is in order to see what I can find. In other fitness news, I made my first appointment with a personal trainer for next Monday. I’ve been delaying meeting with a personal trainer since for some reason it intimidates me but I finally bit the bullet. I feel like I’ve reached the max of what I can do on cardio and strength machines and need some help to really get to the next level. In the future I’d like to run a few races, get involved in some more serious weight lifting and maybe even try Cross Fit. Even though I feel much healthier and in better shape than I was before joining a gym 6 months ago, I know that my fitness journey has just begun. Joining the gym a few months ago totally transformed my views of health and fitness. Prior to becoming a “gym rat” I did the bare minimum, and while I wasn’t overweight I definitely wasn’t in shape either. As I’ve slowly increased my fitness routine I’ve become stronger, more confident, gotten sick less, and had a huge boost in my mood. While the benefits have been huge, I know I’ve really only dipped my toes in the fitness water. Recently, I decided to develop some short-term fitness goals to help me expand my exercise regime in the right direction. 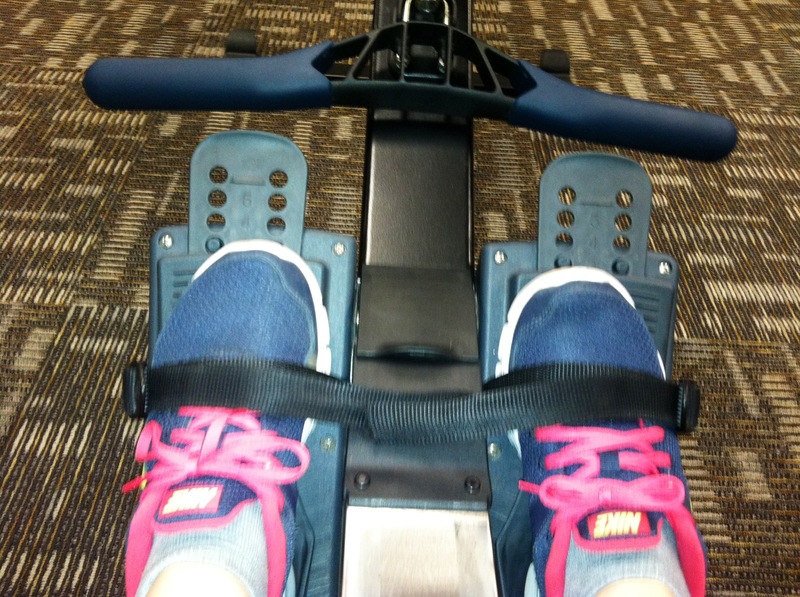 The rower! I don’t know why this machine intimidated me so much because once I hopped on I found it fairly easy to maintain good form and I worked up a sweat almost immediately. I didn’t spend too long on this machine because I wanted to ease into it, but I’ll definitely be incorporating it more often. A few months ago I signed up for my first 5K, which will be on November 2nd. Running is possibly my least favorite form of exercise, so by signing up for a 5K I hoped that having an end goal would motivate me to run more. I’ve run on the treadmill a few times, but kept my cardio workouts mostly on the elliptical. With a month to go before the 5K, I need to step it up and get in a few more running workouts each week. Another goal that is easily attainable is extending my cardio workouts. For this, I need to devote a little more time to the gym. A slightly more difficult goal will be getting on a consistent schedule. Right now my workouts are scattered between getting up early on the weekends and trying to get up early before work (this has been far more difficult than I’d hoped hah) and going really late at night when my morning workouts fall through. Does anyone have tips for getting on a schedule? Trying a group fitness class will also be a little more difficult since my gym is pretty tiny and doesn’t offer many. I have quite a few friends who are into Power Fit and Cross Fit, so I may try a class with them (eek!). I hope that the above goals are reasonable enough that I can make small steps towards them in the near future. My overall goal is to slowly increase my fitness routine until I reach a higher, but sustainable, level of fitness.